That’s it. 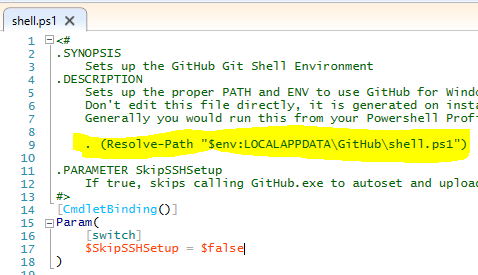 If you haven’t seen the “DOT” in PowerShell scripts, it is called dot sourcing, it will execute the script and keep all the variables and references within the script. Until now I have only worked with svn and git. 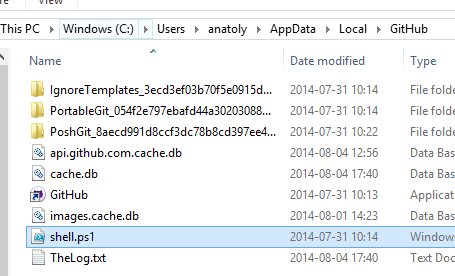 So I am very curious about the Team Foundation Server and Team Explorer which all talk much about. The best thing is the integration with the issue tracking. I can see all work item, or just my work items. 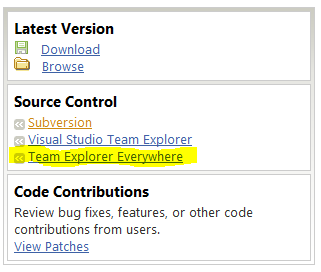 Another fine feature, at leat if you use codeplex, is the Team Explorer Everywhere. The Team Explorer Everywhere client works on Windows, Linux, Mac, or Solaris. It provides a command line client and plug-in for Eclipse to access Team Foundation Server. 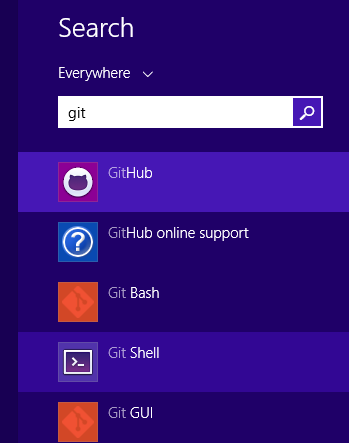 For information on obtaining the client and connecting to the Team Foundation Server please read the Team Explorer Everywhere Client wiki page. 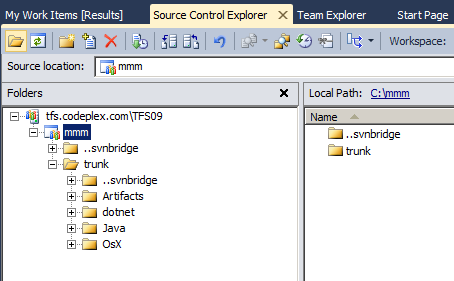 You will need the information on the right to connect to the Team Foundation Server in Team Explorer Everywhere. The only thing I have added is the last row: .classpath. Or in Egit in Eclipse, right-click on repo and run “Fetch from upstream”. If there are new classes or files in the project (say you have got the latest version from github into existing workspace in Eclipse). In order for Eclipse to see them, right click on the package and press “Refresh”. Ja, hur gör man om man vill migrera till git? Låt oss säga, man vill använda github. Jag ska berätta hur man kan göra det. Jag gör det i Linux, förmodar samma gäller Mac. Det finns en bra manual om hur man migrerar svn till git. Vi ska gå igenom steg för steg. Det sista är nödvändigt. Eftersom om du har skapat en repository från VisualSVN, kommer det krävas en användarmappning för det med. Observera att git-svn (med mellanslag) inte fungerar, det har bytts ut mot git svn. Syftet med kloningen är att rensa bort svn-grejs. Observera punkten, skriv inte myproject_tmp, för det kommer inte att fungera.